A video from 2011 has emerged today that shows Jeremy Corbyn claiming the BBC has a “bias towards saying… Israel has right to exist”. Appearing on Press TV, the Iranian state-owned television network, critics say the Labour leader seemed to call into question whether Israel could be considered a democracy and appeared to cast doubt on whether the state had the right to exist. 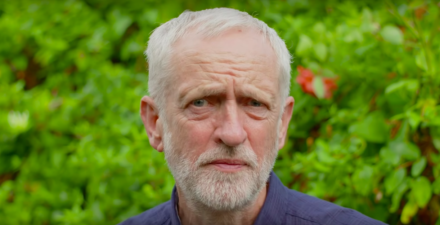 In the video, Corbyn said: “There is pressure on the BBC from probably Mark Thompson, who seems to me to have an agenda in this respect. “There seems to be a great deal of pressure on the BBC from the Israeli government and the Israeli embassy, and they are very assertive towards all journalists and to the BBC itself – they challenge every single thing on reporting the whole time. A Labour spokesperson said: “Jeremy was arguing that despite the occupation of Palestinian territory and the lack of a Palestinian state, Israeli concerns and perspectives are more likely to appear prominently in news reporting than Palestinian ones. “Jeremy is committed to a comprehensive peace in the Middle East based on a two-state solution – a secure Israel alongside a secure and viable state of Palestine.